Member States cannot miss the opportunity to achieve the triple goal of increasing the rate and depth of renovation, achieving energy savings targets and improving the living conditions of millions of vulnerable citizens. National renovation strategies must include dedicated policies and measures for low income households. 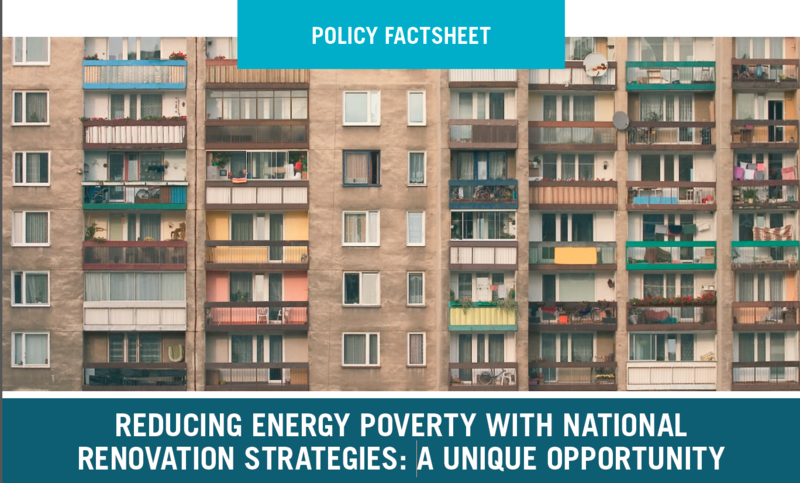 At least 50 million Europeans, around 10% of the total population, are energy poor. Energy poverty is linked to low household income, high energy costs and energy inefficient homes, and is known to have severe impacts on the health of EU citizens including increased numbers of winter deaths, detrimental effects on mental health, respiratory and circulatory problems. 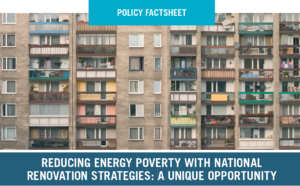 Recommendations on how to alleviate energy poverty through sound renovation strategies are laid out in this factsheet prepared by the Buildings Performance Institute Europe. Residential Energy Efficiency for Low-income Households project is one of the many assistance projects supported by the American people through the United States Agency for International Development (USAID). Since 1992, the American people through USAID have provided a broad range of development programs in Armenia, Macedonia and Bosnia and Herzegovina, shifting from an initial humanitarian emphasis to assistance for economic, political and social transition. This web site is made possible by the support of the American people through the United States Agency for International Development (USAID). The contents are the sole responsibility of Habitat for Humanity Europe, Middle East and Africa and do not necessarily reflect the views of USAID or the United States Government. © 2016 REELIH. Habitat for Humanity. Created by: Lightning Beetle and Webikon.